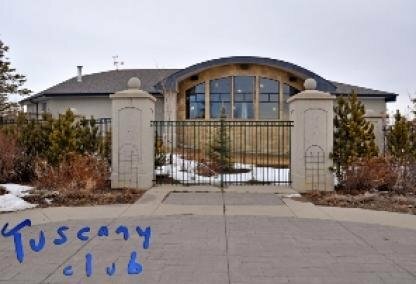 Search all Tuscany homes for sale in Calgary below! Tuscany is a new planned Calgary community just west of the Stoney Trail. Beautiful homes, a private club and panoramic views of downtown, the Bow River Valley and the Rockies distinguish this increasingly popular neighbourhood. Read about the Tuscany housing market in Calgary or see all homes & property listings below. If you're thinking of selling or buying a home in Tuscany or moving to the area, contact us for an appointment. Tuscany housing market statistics: As of April 25, 2019 there are currently 75 properties for sale in Tuscany listed as active, with an average asking price of $562,644. The highest-priced property is $1,179,900; the lowest priced property can be purchased for $265,000. Tuscany neighbourhood listings have an average price of $310 per square foot, based on listings with 3.5 bedrooms, 3.3 baths, and 1,817 square feet of living space. Want to buy or sell a home in Tuscany? Call Justin Havre at RE/MAX First at 403.217.0003, your neighborhood Tuscany real estate agents and agents ready to help with the Calgary Tuscany housing market. Tuscany Calgary homes are part of a 1000-acre master-planned community on the western edge of the city. 90% of Tuscany home inventory is single family detached buildings, but you'll also find semi-detached homes, luxury residences, lofts and condos in Tuscany. Prices of homes for sale in Tuscany range anywhere from the low 200Ks to $1Mil plus. 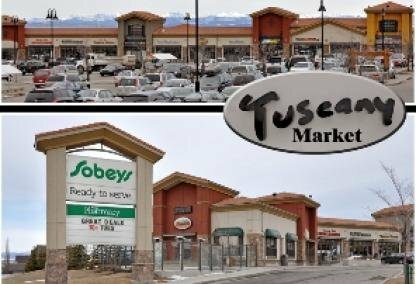 Built for living, Tuscany's amenities include an open-air shopping center with a variety of shops including a café, restaurant, dentist and grocery store. The Tuscany real estate area is just 20 minutes from downtown Calgary, and soon the community will have C-Train service via the new Crowfoot Station. This modern LRT station, located at Crowfoot Trail west of Nose Hill Drive, includes a Park and Ride facility. There are also plans for the City of Calgary to extend the C-Train services to Tuscany in the near future. The development of Tuscany first broke ground in 1994 and is still growing by leaps and bounds, with new homes and neighbourhoods being added all the time. Tuscany's 2009 population was 18,272. This is a fairly affluent community with a home ownership rate floating at about 95%. To stay on top of current housing trends and prices, sign up for our FREE TUSCANY MARKET UPDATES. Determine how much your home is worth on today's market by using our FREE TUSCANY HOME EVALUATION TOOL. Tuscany is in a particularly scenic part of Calgary and the community includes 250 acres of environmentally protected ravines. Green space, parks and tot lots are all part of the design and Tuscany homes are within walking distance of the Bow River. There are pathways and trails throughout the community and the Tuscany Club, a private rec centre with a gym and outdoor skating rink is central to the community design. 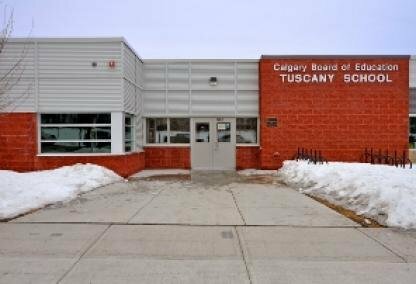 There are local soccer, baseball and hockey leagues in Tuscany that are open to all ages and the area is home to the Calgary West Soccer Centre. 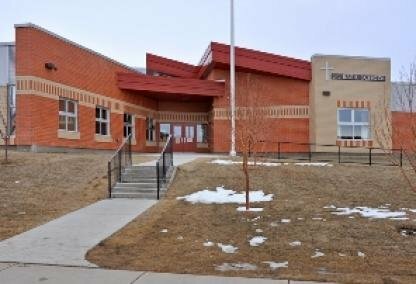 The Crowfoot YMCA and a variety of golf courses are also close by. Tuscany has many shops and services for residents to enjoy. These include Angels Hair Salon, Domino's Pizza, Ducks and Company, Panda Flowers, Kaleidoscope Kids Preschool, Lifetime Vision Care, Mac's Convenience & Gas Bar, Scotia Bank, Sobeys, Sobeys Pharmacy, Starbucks, Subway, Rexall Drugs, The Last Straw Pub, Tuscany Chiropractic Clinic, Tuscany Dental, Tuscany Fine Dry Cleaning, Tuscany Medical, VHQ Entertainment, Tuscany Veterinary Hospital, Western Cellars and many more. Home Depot is also located in Tuscany, at 5019 Nose Hill Drive NW. Thinking of buying or selling a home in Tuscany? Let our local real estate agents help guide you through the purchase of your next home, or to expertly negotiate the sale of your current home. As local Tuscany real estate agents, we're experts on the market dynamics unique to the Tuscany real estate market. We'll get to work for you today! Contact Justin Havre at RE/MAX First to learn more about buyer or seller representation. Planning to sell your Tuscany home? Check out our free home evaluation, where you can instantly price your Calgary home price your Tuscany home online, in minutes!